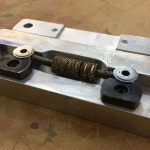 Machinable Fixture Clamps | Mitee-Bite Products LLC. 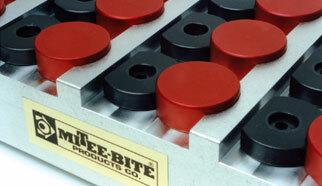 These clamps, with the machinable steel washers, provide more flexibility for holding round or unusual shaped parts. 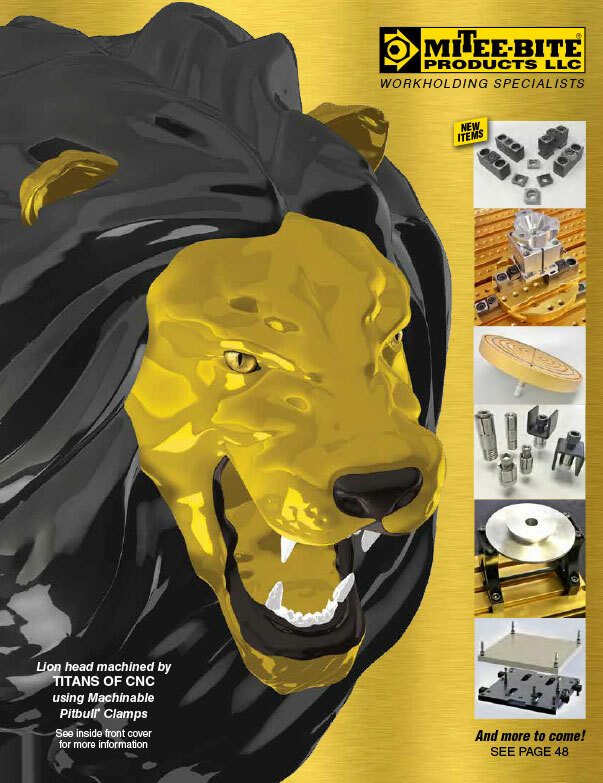 Parts can be held directly to the fixture plate surface or elevated for through-drilling. 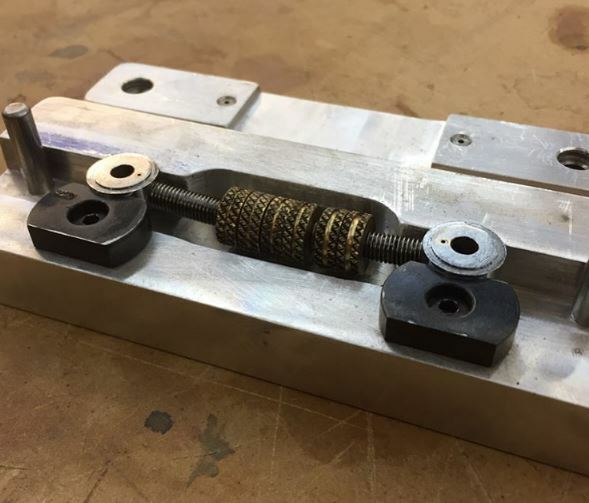 A special screw is provided with each package to hold the washer in the proper place during machining. The flat edge is the same location as our original fixture clamp. It can be used where a stronger clamping surface is required. G* – amount of machinable stock. 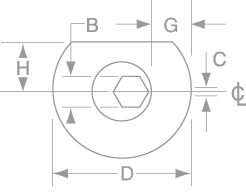 H† – the distance to drill & tap hole from edge of workpiece to use flat face. Every package includes one machining screw. G* – the amount of machinable stock.